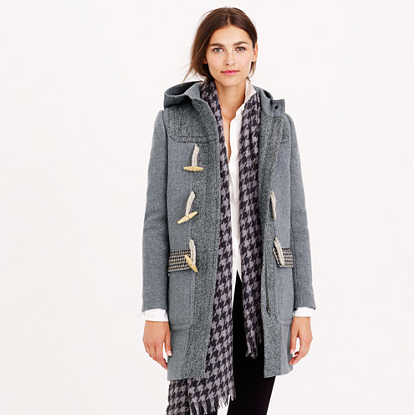 Hey, Lady Grey: Well these coats are utterly gorgeous! Well these coats are utterly gorgeous! 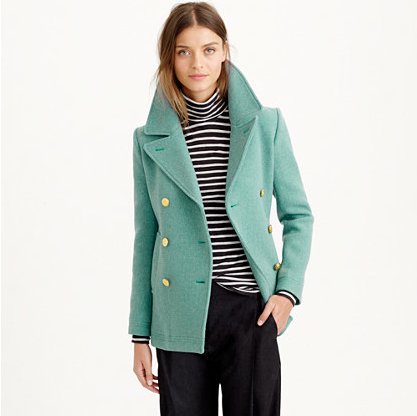 If it weren't for my six-month pregnancy bump, I would definitely be buying one of these gorgeous wool coats this winter. I love the turquoise… such an unexpected and uplifting colour for winter. Images: 1, 5 - The Chateau Parka, 2 - Wool melton toggle coat, 3 - Mixed tweed toggle coat, 4 - Majesty peacoat. All from J. Crew.